Thanks to community support of the Annual Greater Miami Jewish Federation/UJA Campaign, more than 2,500 participants in Federation’s High Holiday Welcome Program were able to experience the uplifting spirituality of Rosh Hashanah and Yom Kippur 5777. From Aventura to Homestead, 33 synagogues opened their doors to unaffiliated Miami Jews throughout the High Holidays. 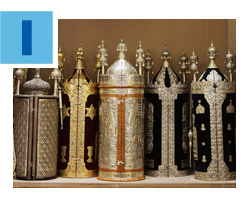 Since 1999, this joint venture of Federation, the Rabbinical Association of Greater Miami and area synagogues has worked to ensure that every member of Miami-Dade County’s Jewish community has a place for High Holiday worship. In addition to English and Hebrew, services were offered in Spanish, Russian and American Sign Language. Join Federation and the Holocaust Memorial Miami Beach for “Kristallnacht: The Spark That Ignited the Holocaust” on Sunday, November 6 at 6 p.m. This year, the program will take place at Temple Israel of Greater Miami, 137 NE 19th Street, in downtown Miami. The poignant program, chaired by Wendy Reiss Rothfield, will include presentations by Consul General of Israel in Miami Lior Haiat; former U.S. Ambassador to Venezuela Otto Reich; and Guitars Not Guns, a musical youth group for at-risk children. 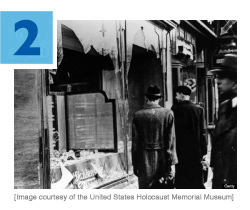 Kristallnacht, or the “Night of Broken Glass,” refers to the wave of violent anti-Jewish events (pogroms) on November 9 and 10, 1938, throughout Germany and Austria, which was a harbinger of the Holocaust. The Holocaust Memorial Miami Beach is a Committee of the Greater Miami Jewish Federation. For more details, contact Sharon Horowitz at 305.538.1663. Do you know a Bar or Bat Mitzvah student looking for a once-in-a-lifetime opportunity to volunteer and learn with Holocaust survivors? 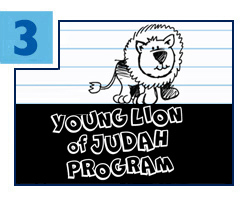 Federation’s Jewish Volunteer Center and the Holocaust Memorial Miami Beach are now accepting B’nai Mitzvah students for the Young Lion of Judah Program. Beginning on Sunday, October 30, teens becoming Bar or Bat Mitzvah before August 2017 will partner with a Holocaust survivor, attend programs on Holocaust education and complete 10 hours of community service. Upon conclusion of the program, students will receive a certificate of completion and a special gift in honor of their philanthropic and volunteer commitment. For an application or more information, please email Volunteer@JewishMiami.org or call 786.866.8680. More than 30 percent of Jewish households in Miami with people over age 75 require in-home healthcare, help with senior transportation, meal delivery or other social services. 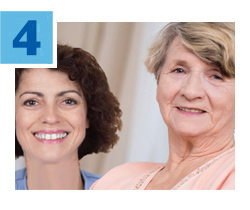 Through the Annual Federation/UJA Campaign, you are helping to feed homebound seniors, bring comfort to those in senior care facilities or hospice, support congregate meal sites for lunch and companionship, and enable aging seniors to live in dignity. Federation’s partners in these efforts include our own Mishkan Miami, three Federation-funded Jewish community centers (JCCs), as well as Jewish Community Services of South Florida and Miami Jewish Health Systems. To support these and other senior programs, click here. Lone soldiers – young olim (immigrants) who bravely left their homes to make aliyah and take an active role in securing a strong Israel – are never truly alone, thanks to your support of the Annual Federation/UJA Campaign. WINGS, a Federation-funded program of The Jewish Agency for Israel, provides emotional and physical assistance to nearly 1,000 Israel Defense Forces soldiers who have no family nearby. The program acts as an anchor for these soldiers and provides a continuum of services, including care packages, hospital visits, aid for visiting family members and much more. Support continues for two years following their discharge to ensure a safe and successful return to civilian life in Israel.